Protecting what's important for over 20 years. Do you own or operate a commercial or industrial facility in South Carolina or North Carolina? If so, you understand the importance of fire protection. At AllFire Services, we do too. Our fire protection services will keep you, your employees, and your assets as safe as possible. AllFire Services has been providing superior service to protect your assets since 1990. 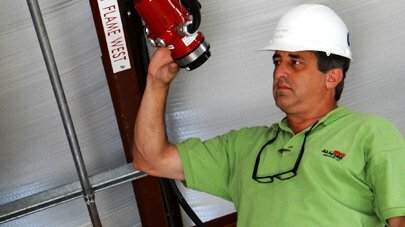 For 25 years, we’ve served South Carolina, North Carolina, and Georgia with fire protection systems and equipment. 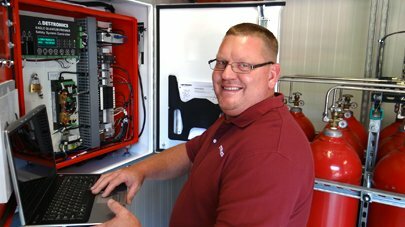 Regardless of the type of business you own, AllFire Services has fire protection equipment to keep you, your employees, and your possessions safe in the event of a fire. We’ll assess your location and recommend a plan that best meets your needs. This may include fire extinguishers, fire suppression systems, emergency lighting, and/or gas detection devices. 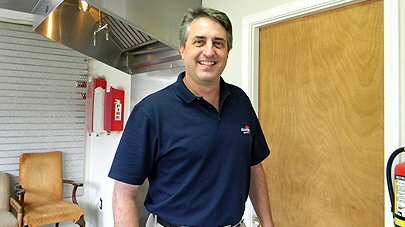 AllFire Services also offers cleaning services for restaurant hoods and ducts and is a DOT licensed hydro test station. We’re available 24 hours a day for emergency service. Fire extinguishers are the first line of defense. We sell a variety of different types and will recommend the right device for you based on your needs. We provide service for fire extinguishers, too. Fire suppression systems use a variety of tools to put fires out and keep them from spreading. Our expert technicians will design a custom solution for you to make your facility as safe as it can possibly be. We also provide full installation, repair, and cleaning services for restaurant hoods. We use the best equipment from leading manufacturers to make sure you have the best fire protection system available for your restaurant or commercial kitchen. Call AllFire Services to learn more about how we can help your business. We serve clients from throughout South Carolina, North Carolina, and Georgia from our Rock Hill, SC office.